The aim of competition policy is not solely regulating market behaviour. When applied correctly, it might also yield results in terms of consumer welfare. It therefore comes as little surprise that the Polish Act of 16 February 2007 on Competition and Consumer Protection (ACCP) is likely to be amended in the run-up to this autumn’s parliamentary election. The first set of amendments pertains to geo-blocking. Since 3 December 2018, unjustified geo-blocking is outlawed throughout the European Union. The ban is directly applicable, which means that the relevant provisions did not have to be implemented into the Polish legal system to be binding. But although the regulation has already taken effect, its enforcement has not yet been conferred on any Polish authority. Apparently best suited to exercise the power, the President of the Office for the Protection of Competition and Consumers (Urząd Ochrony Konkurencji i Konsumentów – UOKiK) is widely expected to be entrusted with the responsibility. The same legislative proposal is set to introduce changes with regard to the institutional aspects of Poland’s competition law. Firstly, the tenure of the President of the UOKiK is to be fixed at six years. Currently, the head of the competition authority remains in office only until he is dismissed by a discretionary decision of the Prime Minister, which may happen at any time. This creates a situation of dependence and a potential risk of political influence on the competition watchdog. An exhaustive list of objective reasons for dismissal is therefore to accompany this step. Secondly – and surprisingly – the current practice of selecting the President of the UOKiK in an open and competitive process is to be repealed. While candidates will still have to fulfil the formal requirements, which include education and expertise in matters which fall within the competence of the Office, details of the selection process will remain hidden from the public eye. This entails the risk of a loyal but otherwise rather mediocre contender being promoted over an expert with thorough knowledge of the competition landscape who might, however, be inclined to take decisions not conforming to the preferences of the governing majority. The same changes will apply to the positions of deputy presidents of the UOKiK. Thirdly, there are plans for a reform of the internal structure of the Office. Its local branches are to be established and governed by an internal regulation and not, as is the case currently, by the ACCP. In this regard, supporters of the project argue that some of the branches operate below their capacity and deal almost exclusively with minor consumer protection issues. Opponents meanwhile express concerns about the centralisation of powers and point out that the proposed changes could limit access to the Office for local communities and SMEs. As recently reported by the press, the Ministry of Entrepreneurship and Technology is now working on another amendment to the ACCP which would make excessive default in payment, as well as contractual arrangements providing for such default, between undertakings an act of unfair competition and an administrative offence. As things stand, unreasonable extension of the payment date is seen as an infringement of the Act of 15 December 2016 on Counteracting the Unfair Use of Contractual Advantage in the Trade in Agricultural and Food Products. As its name makes clear, however, the act applies only to agricultural and food produce and requires several other conditions to be met. Unfortunately for creditors, the practice is rather prevalent throughout sectors, as default interest happens to be lower than interest that would be charged by a financial institution. The goal of the planned amendment is to ensure that all undertakings are paid in a timely manner and are not put at risk of losing their financial stability due to unreasonable late payments. Interestingly, under the current proposal a whole new department with over 150 posts would be created at the UOKiK so as to ensure proper enforcement of the new provisions. Finally, a number of major amendments to the ACCP are expected as a result of the adoption of the ECN+ directive, which was passed at the beginning of the year and has to be implemented by 4 February 2021. The debate on adjusting Polish competition law enforcement to the new standards has only just begun. It is, however, likely that certain institutional changes will be implemented in order to ensure independence of the competition authority from the government. For example, some academics have already proposed that the investigative powers of the UOKiK be separated from its decision-making powers and that the monocratic authority be replaced by a collegial body modelled on the European Commission. In addition, the ECN+ Directive requires national competition authorities to have sufficient financial resources. It remains to be seen how the Polish government tackles the all too well-known issue of the UOKiK being underfunded. 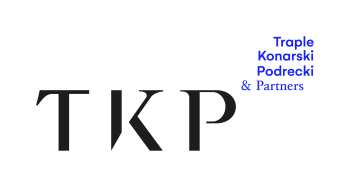 Traple Konarski Podrecki & Partners - Katarzyna Wiese LL.M., Ph.D.